Donna Gail House is from Laurel County where she retired as a special education teacher in 2011. Donna worked for three years as a KAPE regional representative and two years as the in-house paralegal before being selected by the Board of Directors as the Executive Director in July, 2016. Donna attended high school for two years in Floyd County at Prestonsburg High School, and two years in Pike County at Virgie High School. She then attended Eastern Kentucky University for two years before starting her family. She resumed her studies and graduated from the University of the Cumberlands in 1988, and returned to EKU to complete her Masters of Art in Education in 1996. Donna completed her Paralegal Certification at EKU in 2013, and became a Certified Kentucky Paralegal that same year. Donna chose the program at EKU as it was endorsed by the American Bar Association. 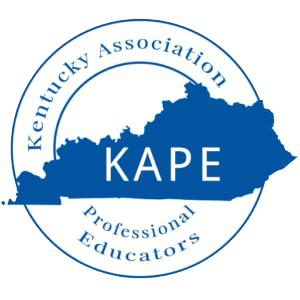 She is currently a member of the Kentucky Paralegal Association and the Greater Lexington Paralegal Association. She has served as a state certified firefighter, Girl Scout leader, and is currently on the Cumberland Valley Area Development District Board and the Ethics Commission of the City of London. She has two daughters, both graduates of EKU, and a granddaughter attending preschool. Tammy is from Baltimore, Maryland, but has Kentucky ties. Her mother is from Harlan, KY. She is a graduate of Arundel Sr. High School in Gambrils, Maryland. Tammy attended the University of Kentucky and majored in many fields including Art Studio, Interior Design, and finally ended with Architecture. Tammy is married to Jeff Koerner, who is a store manager for Porter Paints in Lexington. They have three daughters, one granddaughter, and one grandbaby on the way. Their oldest daughter, Hannah, is herself a momma, along with one on the way in July of 2017, and is attending Paul Mitchell School of Hair Design. The second daughter, Sarah, is attending the University of South Carolina - Aiken, studying with a double major - History & Communications with a minor in writing. Their youngest daughter is Micaylah, who is a sixth grader at Beaumont Middle School. Tammy has had a wide range of work experiences. She started off as a construction estimator for the University of Kentucky Physical Plant Department for four years. After that, she joined Drees and Associates and became a Computer Aided Design Draftsman. While doing that, she taught night classes for the University of Kentucky -Lexington Community College on Introduction to Drafting. After three years, Tammy rejoined the University of Kentucky in the Technical Services department for Libraries as a staff assistant. From there she was offered the position of working with the Registrar at the university as an Administrative Assistant and was in charge of the campus Student Information System (SIS), along with developing spreadsheets for NCAA compliance officers and federal government education agencies. When their first daughter was four, Tammy felt at that time it was best to stay home. During that time, she became KY state certified for a home daycare and taught third through fifth grade Sunday school classes at their church. She worked from her home for fifteen years before starting to work for KAPE. Currently, Tammy is the Director of Office & Finance Management which makes her responsible for all the activities at the Lexington Office and she makes everything run smoothly for everyone else. She does everything from keeping the KAPE membership listing as current as possible, processing applications during renewal time, making sure staff and reps get paid on time, pay all the bills that come into the office for both the Lexington and London branches, and keeps an eye on budgets to be sure funds are being spent appropriately. Besides her regular office duties, Tammy is also the KAPE’s board secretary and takes the minutes during meetings.